Seeing “Karim Benzema” and “Arsenal” in the same sentence is nothing new; the French striker has been linked with a move to the Gunners for a number of years, mainly due to his nationality. However, this recent bit of Instagram activity links the Madrid man to Arsenal in a different manner. Benzema hasn’t gotten a call up for the national side in a long time, mainly due to a legal case still pending against him. However, an argument could be made that his on field exploits at club level should be the reason for his call-ups, not anything off the field. It’s a sentiment Benzema seems to share. 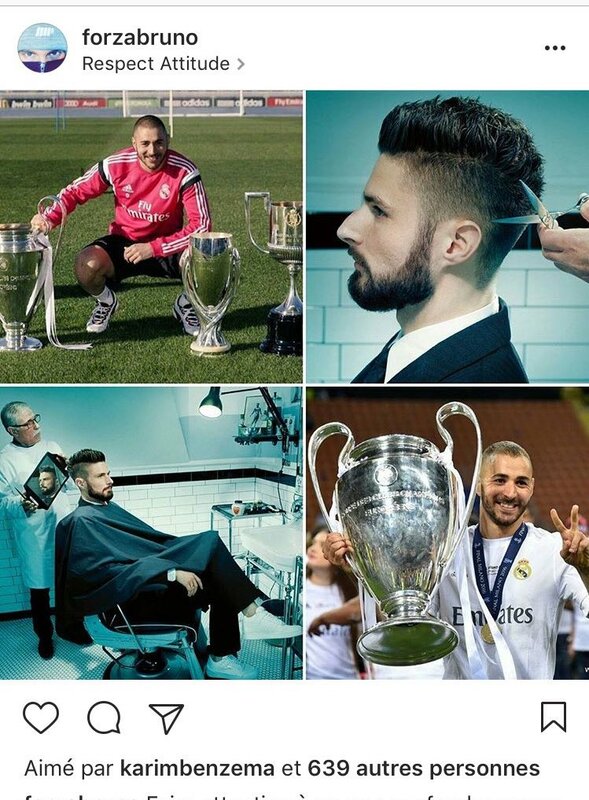 This is because Benzema recently liked a picture that seemed to insinuate that he is a winner of trophies whilst Olivier Giroud, the current preferred option for the national side, is more concerned with haircuts. Either that or Benzema is really jealous of what a looker Giroud is, and who could blame him if that was the case?